Anyway, first I would like to mention for those that don't know already... professions will drain your energy, nerve and awake considerably. I'm guessing that they drain about 5% each time you craft something; or at least that's what it looks like to me since my energy/awake/nerve all go down evenly when I do it. First of all, you need to check out the new port, "Balicasag". This port will have the tools you need in order to do your first profession "Linen Cloth". Check out the different shops since not all the tools you need are in one single shop. You'll probably be able to get somewhere past level 5 doing the "Linen Cloth" profession before your leveling process is slowed down; you'll most likely obtain the "cut square gem" profession and "Shape Amethyst" skill. People are usually stuck after this. DO NOT do the "cut square gem" profession if you don't have an amethyst. This will just drain your energy/awake/nerve, and you will get nothing. I've wasted my entire awake bar testing this. You're able to obtain "Amethyst" through the herb gardens, but you need to raise your profession level before you can actually pick them up. I believe you can pick up copper ore before you can even start picking up any kind of gem. I didn't start picking up gems until I was around level 30; the level may be lower or higher since I don't remember exactly when I could start picking them up, but I think this is pretty accurate. Also remember to check different ports since each port has their own herb garden. Now, what "I" did was use awakes to keep doing the "Linen Cloth" profession until level 15, where I did the "Copper Bar" profession. I was picking up ores for the job until I suddenly came across "Amethyst". This is when I went back and did the "Cut Square Gem" profession. After that was pretty easy. All you have to do is keep on gathering materials, either in the herb garden or the shops and keep on crafting. From what I can see, you can level up through picking up materials in the herb garden or actually crafting items. I don't know the exact requirements are for leveling up since I sometimes gain a few levels in one garden by picking up a few gems and sometimes I don't level up for hours. 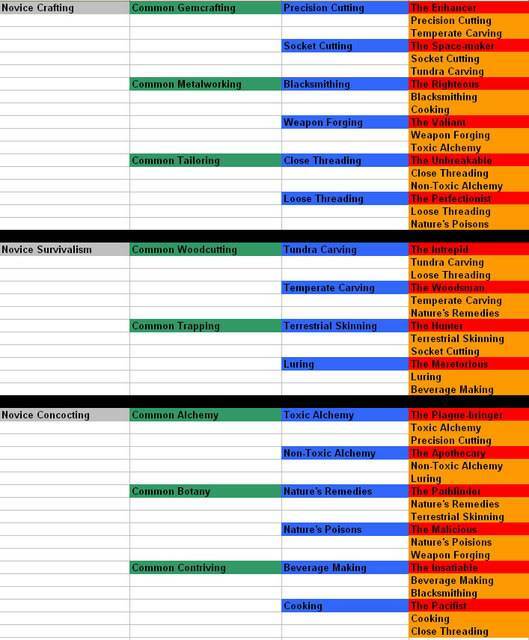 Anyway, I hope this helps out all your crafters out there. Good luck. If you want, you can buy amethyst from people who can already pick up gems. If you do this you may be able to save a bunch of awake you would be using to try and get to level 15 just doing the "Linen Cloth" profession. I used about 11 awakes and about 400-500 points for energy/nerve to get to level 15. If you can find someone to supply you with some, you can probably gain levels faster by doing the "Cut Square Gem" profession earlier on. That's assuming that the "Cut Square Gem" profession gives more exp than the Linen profession. (Which I'm pretty sure does) I'm selling amethyst myself for 50pts each(I've been finding quite a bit now) but I've heard someone is selling them for 20pts each. (I don't know exactly who) The longer you wait the lower the prices will probably become, so unless you're intent on gaining profession levels right now, I would suggest just waiting. Make sure that when you are choosing your professions that you will end up with two that work together for your epic quest. Do you guys think it's a good thing to sell your home? You have more than enough awake then but you can't train anymore. I did it at first but now it seems it's better to only make copper bars now (I'm a crafter). Because the linnen making doesn't give me levels anymore. And i can only make 2 copper bars a day. So i think i m buying my home back..
Did anyone happen to save the picture that shows how the professions align? The link is broken. If you are low on awake or nerve or energy and you do anything related to professions, you will probably use all of them up, get nothing, and get a message saying that you don't have enough or something to that extent. If you do this right when you are about to level, you get this: "Your skill was about to increase, but you lack the energy, nerve, or awake to pay attention!" This happened when I was hunting Black Bears and didn't have enough nerve. I expect that the same thing will happen with other professions if you are too low.